Some good news and some bad news. Bad news first. 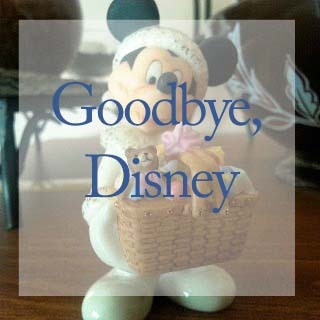 I decided that this is the last time I am going to post any Disney type blog posts on My Ambiance Life. 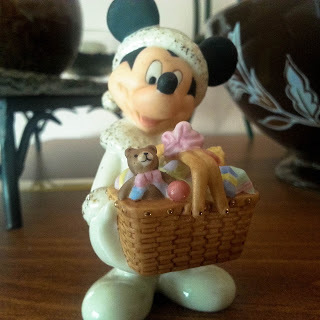 I love writing about Disney, showing you the answers to the questions posted on Quora, and so forth, but I must keep within the niche of the blog itself, and is the art of writing. I know, I know, this is also a subject I am passionate about, but how is it teaching you about writing, how to write in the areas I love, which is general writing and so forth if I always talk about Disney. I may revisit the subject from time to time, but I must lay off the Disney for a while in this blog. The good news is I will be starting a blog that allows me to spread my wings, but not in the way I did with Traveling to the Mouse’s House was and should have been. The reason behind me shutting down that blog was I needed to regroup and rethink how a girl from Ohio can talk about Disney Parks (especially Disney World) without being a member of the Disney Vacation Club. In a word, I cannot. I must start over again, and it has to be in this new blog. (changed the name again back to I do not have a title again, so, it is unnamed--- again, ugh). In honor of this being my last posted Disney-themed blog post, I am posting two more answers from Quora. On talks about my favorite thing in Disney World, and the other talks about affordability. When you read it, there is a hint on how I am structuring my book, which will reference these two answers, plus others I can pull from the site I personally answered. So here is my first answer to “What is my favorite thing about Disney World. What is your Favorite Thing about Disney World? You are right. There is so much to see and do, and I cannot pinpoint one thing that is my absolute favorite thing at Disney World. My favorite park is the Magic Kingdom. This is classic Disney at its finest without it being at Disneyland. The Magic Kingdom was modeled after Disneyland with a few extras that make it the Magic Kingdom. This is my childhood. Almost all of the classic rides are here. Sadly, Snow White’s Adventures is no longer at the Magic Kingdom, but I cannot wait to ride the Mine Train ride the next time I visit. It’s a Small World is different than the Disneyland version, but I love it just the same. My favorite ride outside the parks is the Monorail. It is iconic, and even though it does not go to all the parks, I love that you can stop at the resorts, look around, and hop back on. Free ride, LOL. Favorite eat-in. I like Ohana at the Polynesian Resort. Ohana means “family”, and they treat you like family. The food is plentiful, and they have something for the children to do. Did I mention the food is delicious? My favorite time of the year is in December. Yeah, it is crowded but so worth it. You get to see the parks all decorated, and there is plenty to do at the resorts during that time, as well as the rest of the year. I want to set up this next one. I had a little problem with this person’s question. Since Disney has so many parks within both Disney World and Disneyland, as well as beyond the United States, I assume the questioner was at least American (could have been Canadian,but who knows), I had to ask if they were meaning the one in Florida (Walt Disney World Resorts) or the one in California (Disneyland Resorts). Not only that, I gave the person the best way to save for a trip that is affordable for them. I hope they took the hint. What is the most affordable way to see all of the Disney Parks? Hmmm, is this a Disney World or Disneyland question? The reason why I ask, is the question was listed under “Disneyland”. Disneyland has 2 parks (Disneyland and California Adventure) and Disney World have 4 parks (Magic Kingdom, Epcot, Hollywood Studios, and Animal Kingdom), a shopping area (Disney Springs), and 2 water parks (Tycoon Lagoon and Blizzard Beach). 3. Research part 2. 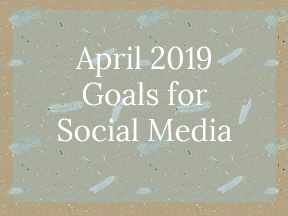 Pick up your list of things you want to do (your dream list), and start researching for affordability (your budget). You will find that you may not be able to afford Mickey’s Scary Halloween party, but you can afford a character meet and greet at the Grand Floridian Resort. It is all about researching and replacing something that can be expensive with something more affordable and achieving the same results. This includes your time. You may not have a week to do all the things you want to do while at the parks, but you may find that going to 2 parks instead of all 7 at Disney World, or 1 park instead of 2 at Disneyland can satisfy you. Once you do all of that, pick a date, call general reservations to book your stay (or an outside hotel/resort), and start saving. Good luck.